Keeping track with the latest technological developments, we are offering a premium quality Promotional Table that is ideally used for promotion purpose. 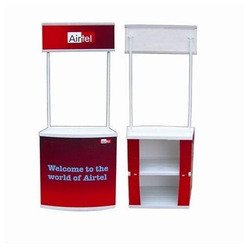 We are a reckoned organization in this business and are engaged in offering Promotional Table. With Branding Eco solvent printing. 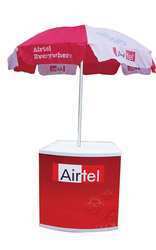 We offer promo table with and without printing. Promo table are printed on high quality vinyl for best output. Easy assembly makes this unit perfect for use while traveling; no tools required. Usage: Promotion, Trade Show, Advertising.